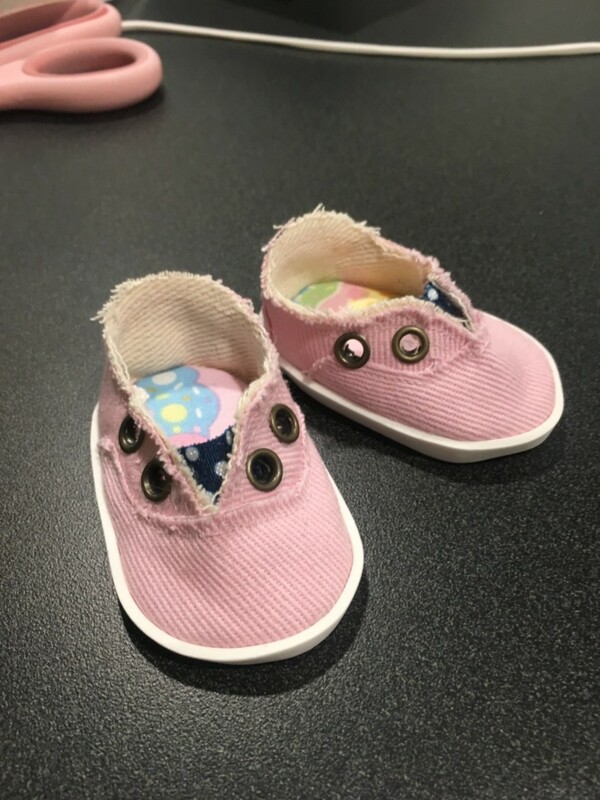 Your doll will wonder how she ever lived without these trendy slip-on shoes! You'll want to make several pairs in lots of fun colors to go with all of her favorite shorts and capris! This PDF sewing pattern is designed to fit 18" American Girl® Dolls and is compatible with the Pixie Pack SHAPE 1 pre-cut soles. Wonderful. Shies came out super cute! So easy and really cute.